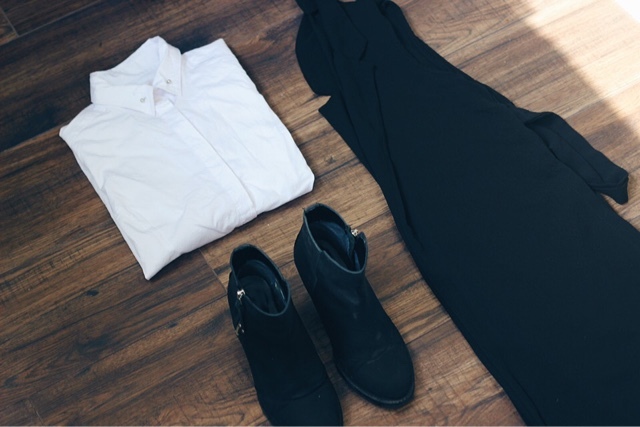 Every wardrobe has its staples and the white shirt is no exception. Whether you’re building a capsule wardrobe, or you’ve just sank some major spends into a new signature piece, the secret to building a stylish and affordable wardrobe is knowing how to mix staples up to create new and different outfits every time. 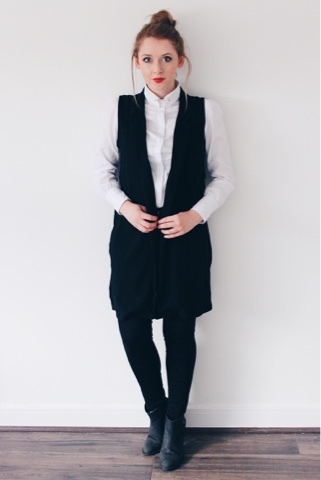 Today I’m taking a look at the classic white shirt. My shirt of choice is from Hawkins and Shepherd and is a classic pin collar style. I love that the pin is interchangeable as it means you can instantly change the look, before you even go delving into your wardrobe. 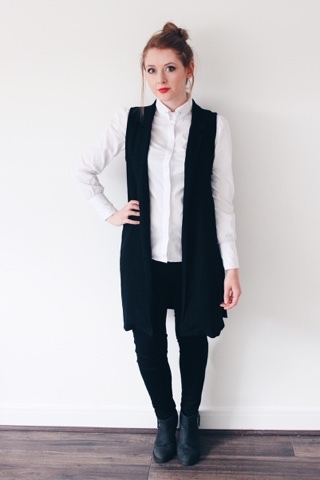 For smart to casual workwear, I’ve layered the shirt with this split side Boohoo jumper. If you follow my blog you’ll know I love the colour grey, it’s versatile and goes with almost anything. I’d team this combo with black cigarette pants and finish the look off with classic black brogues and add a pop of personality with a bright colored satchel for all those office essentials. 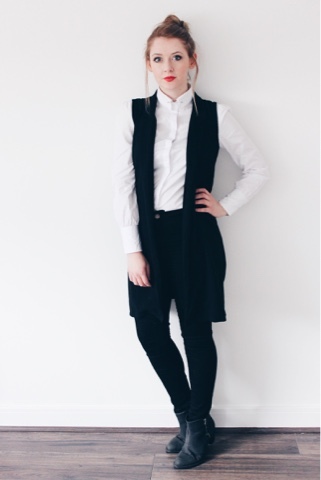 For those casual days of city wandering, I’ve teamed the white shirt with a black waistcoat duster. 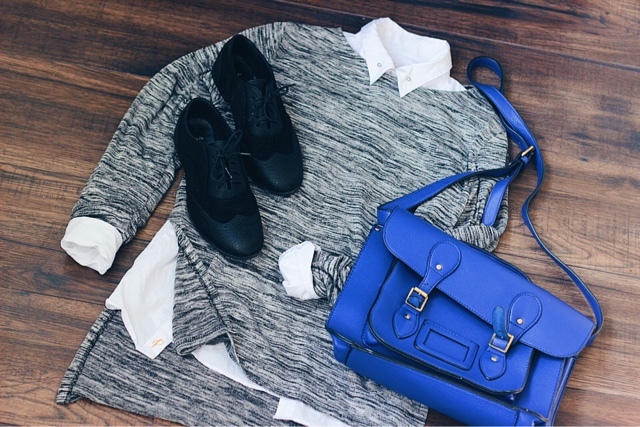 I love how this looks paired with super skinny jeans and some comfy block heel ankle boots. 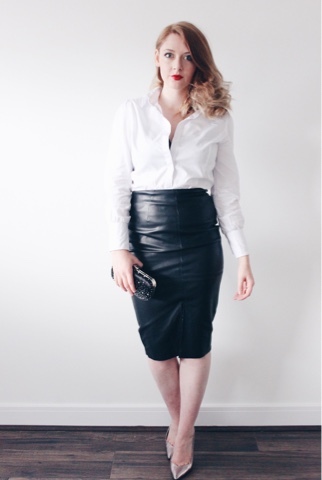 For those nights when you’re running from desk to dance floor, pack light and team your white shirt with a black leather pencil skirt. Finish off the look with lashings of red lipstick, chic waves and some trophy heels and you’ll be sipping cocktails and dancing way into the AM. 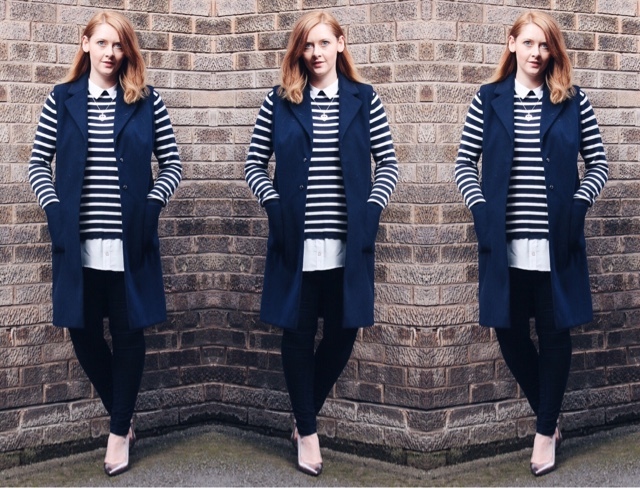 This spring stripes are big news! 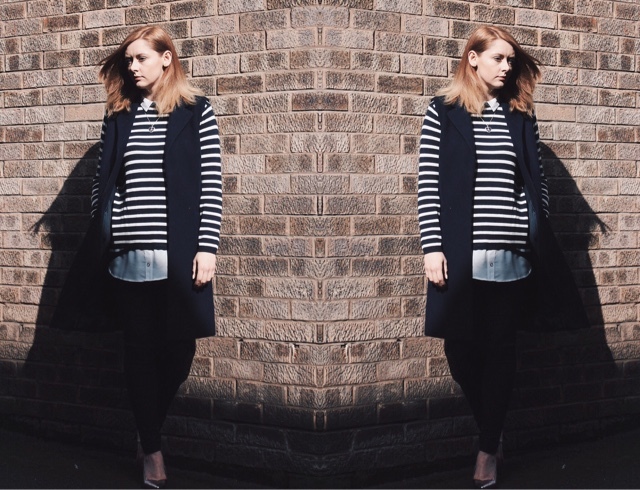 Vertical or horizontal if you haven’t got some graphic stripes in your wardrobe, it’s time you get out and earn some. 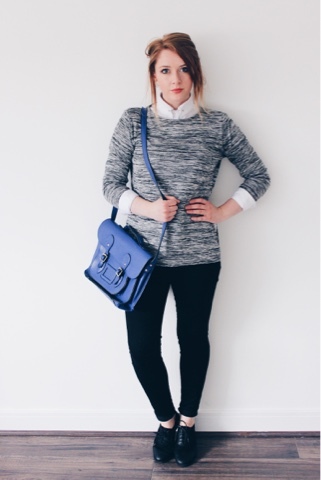 I’m loving this layered shirt and jumper from Primark to smarten up a pair of Stradivarius jeans. I finished off the look with with a Long Navy Topshop waistcoat, some New Look rose metallic heels and Laura Whitmore for Daisy necklace. I think this look is the perfect transition from cold winter to bright, fresh Spring. What’s your go to transition piece? When did it become cool to hate? 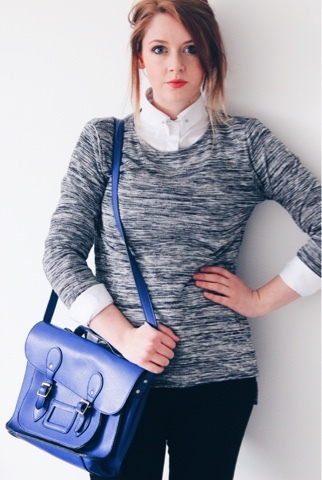 If you’ve heard of Zoella, (and let’s be honest if you haven’t, where have you been hiding?) then you will know that controversy often follows her around. From the ghostwriter “scandal” to the scrutiny of her earnings, the poor girl can’t seem to do anything right recently. In her video the other day, Zoe herself took to her vlog to confront the reason why she hasn’t been filming as much recently and she stated its down to pressure. Everywhere you look recently on social media people are all too eager to point out people’s wrongs and hate on everything they do and this morning in the shower it got me thinking, when did it become cool to hate on people? There seems to be a growing trend at the moment, with people citing freedom of speech to say whatever they want, whenever they want, to whoever they want. Whatever happened to championing those around us and cheering for their wins. Were these people never told the old “if you don’t have anything nice to say, don’t say anything at all” or are they just trolling for the sake of being a troll. Whilst I understand Zoella’s sweet and tween style of blogging and videos won’t be for everyone and that people are well within their rights to hold those opinions, I’ve just started to wonder when did it become ok to call out people’s earnings and try to pressure them into creating content by making mean and presumptuous comments. The first thing I thought when I read the recent articles on Zoella’s earnings was Wow. How amazing is it that at the age of 25 this girl has become an entrepreneur in her own right, without even really realising it. As bloggers and youtubers we should be proud. We have created a generation where a quiet girl or boy can pick up a camera and take themselves out of possibly isolated lives for half an hour of their day. We are building future content creators, inspiring youngsters to take chances, to make changes, to learn new things they might not have thought of before. Whilst not everyone strikes it as lucky as some of the “big” bloggers, if you are building a blog and filming videos, you are building blocks that can be stepping stones into future careers through networking, creating, organising time efficiently, working in teams, creating innovative ideas and building a skill base. And I for one find it hard to find anything wrong in that at all. So let’s all take a little time out to champion someone we love, whether it be a close friend, a content creator or someone who inspires you, because that little bit of kindness could really go a long way.